New rosters get put to the test. Spring was a season of renewal and rebirth. 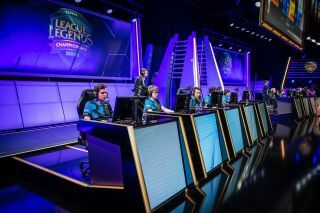 We saw Counter Logic Gaming, a team who had struggled for so long, prove that their recent strong streak wasn’t a fluke by claiming their second North American championship in a row. Yellowstar left behind the task of fostering a new Fnatic squad and headed to North America to try his luck with the stacked roster of TSM. Elements, a team that had turned from super team into the joke of Europe, managed to avoid relegations and turn in surprising performances—sure, they didn’t pull off a Disney movie-worthy run to number one, but it was a rebirth and a victory nonetheless, and we should celebrate those stories. G2 Esports went from Challenger circuit favourites to champions, and Origen managed to put up a very solid fight against them despite changing to a six man roster. While spring was host to many beautiful stories of regrowth and rejuvenation, it's now time for a new season, and with it, new stories. They could have been champions, once, and now it looks as though they might be lost in the woods. Origen picked up a new bot lane after losing their backbone of Zven and Mithy. Hybrid and FORG1VEN were hyped picks. Both of them are veterans with promise, and while losing Zven and Mithy was a massive blow, this seemed like a suitable replacement. Well, one half of the lane has already bowed out due to motivational issues. Konstantinos "FORG1VEN" Tzortziou-Napoleon has been known a mechanically gifted player who struggled with the personal side of playing. He jumped from team to team, always being the bright spot on a roster with high mechanical talent. Eventually, playoffs would come, and so too would his time on the team draw to an end. He’d find a new team, amid a storm of rumours that he just couldn’t or wouldn’t get along with his teammates. Origen was meant to be his soft place to land. FORG1VEN had left team after team, and Origen were struggling, but it was a sheer numbers game—if you leave enough teams, eventually you run out of options, especially if you hold yourself to a high standard and refuse to play beneath it. Origen was his last hope. It’s easy to imagine his frustration when Origen went onto lose 90% of their scrims in the early season. When he writes about playing Overwatch more than League, I sympathize with him. Burnout is a difficult thing to deal with, especially when military service is looming like a scythe over his career, and FORG1VEN hasn’t exactly built up a solid support network of people who can help him through these rough times. He left, claiming that there was “no drama”, and that a young hungry ADC would be happy to take his place. For a very brief time, Dardoch looked like he was in the proverbial doghouse of Team Liquid, his future uncertain. A grim fate, to be sure, but Dardoch only had to deal with it for a short while. Moon struggled against TSM (more on them later), and in game two Liquid made the decision to sub Dardoch back in. As Liquid head into week two, they’ll be retaining the roster that held so much potential in spring. This isn’t necessarily a victory, because there’s no sign that the internal issues are resolved. Instead, Dardoch is a bandaid solution, and that’s not a good thing for him or for the rest of the roster. Coaches need to be able to demand respect, and that’s difficult to do when a player has said straight out that he will not give that respect... and you need him more than he needs you. Dardoch holds all of the cards, and Liquid might just fall to internal issues before they face their toughest opponents in the NA LCS. Let’s end on a high note. Cloud9 without Hai is a dicey proposition, and at one point the team without their world class shot caller was facing relegation. They’ve restructured the team, including bringing back world class memester Meteos and adjusting their top lane to include former world champion Impact. The most impressive pickup actually happened off the Rift, with legendary coach Reapered stepping in. Cloud9 looked respectable their first couple of games, even though there were some audio issues against Echo Fox. “Respectable” seems like an odd standard to set for a team that is getting a lot of hype as potential champions, but consider that without Hai, the boys in blue ran around like chickens with their heads chopped off. The fact that they kept their strong aggression and direction against the Immortals, even if they faltered, is huge. Spring was a time of rebirth, but summer seems to be about testing rosters. How will these teams react when their feet are held to the fire by roster changes, new formats, more games, technical issues, and internal disputes? There’s only one way to find out, and that’s to watch the rest of the split unfold. One things for sure: the games and the drama are both turning out to be spectacular so far. Hopefully things stay this entertaining.